This is the guy who is making awesome. My philosophy is that you can deal with it, or not. Really it is that simple. When I know of a good way to deal with it, I am happy to share what I know. During Eric Andresen’s 27 year career in the IT Industry he has deployed communication networks in six countries, worked in a variety of management roles within project management, critical infrastructure, and operations. 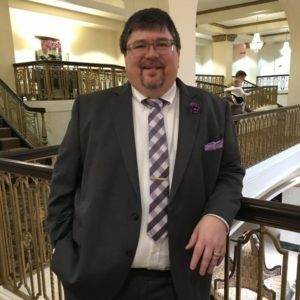 The last 21 years have been spent in the industrial environment where his positions have included enterprise server management, data networks and voice communication networks. Currently, Eric is the IT Information Security manager for a global Steel Manufacture. 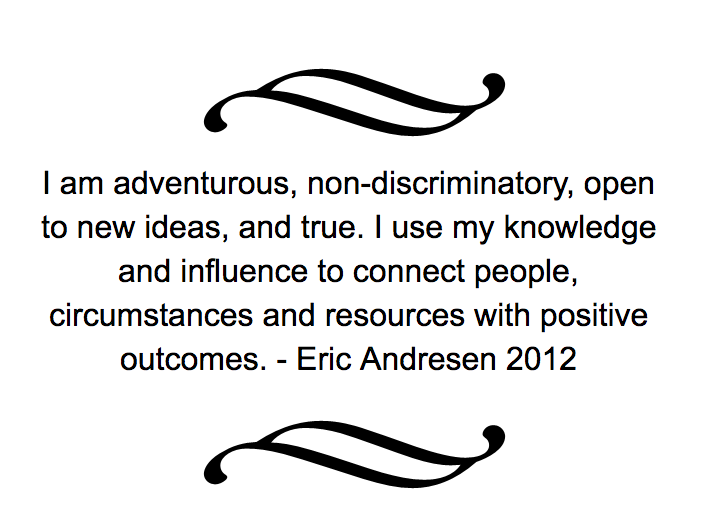 Eric is part of a global team that shapes his companies international policies and programs. Eric is a graduate of the University of Massachusetts where he was inducted into Alpha Sigma Lambda and earned a certification in Security Management and Homeland Security. Eric’s also holds many IT certifications from HP, CompTIA, and Microsoft and is currently completing a degree program in Information Technology and Criminal Justice. Eric is a member of the Chicago InfraGard Chapter and founding member of the Quad Cities Cybersecurity Alliance where he volunteers. I started working in a technical role in 1985 as an Electronics bench technician and Autosound Installer. I have been driving to the same place for work for 22 years. In that time I have been paid by three companies to show up and perform a wide variety of roles from basic Helpdesk, project management, software development, Operations and Infrastructure Manager and eventually I landed working as a cyber-security manager. I show up, the checks keep coming. As long as they do, I plan to keep showing up. Inside that span of 22 years, I met a lot of great people, many I consider family. You know who you are. Somewhere in there Education became important to me. I have many industry certifications from CompTIA, Novell, IBM and HP, and eventually I wanted more and enrolled in a formal education. I earned my associates degree in 2014, was inducted into Alpha Sigma Lambda in 2012 and earned a certification in Security Management and Homeland Security in 2016. I have a lot of family members, lots of kids and lots of grandkids. They are the center of my universe. Okay thats enough, get lost.